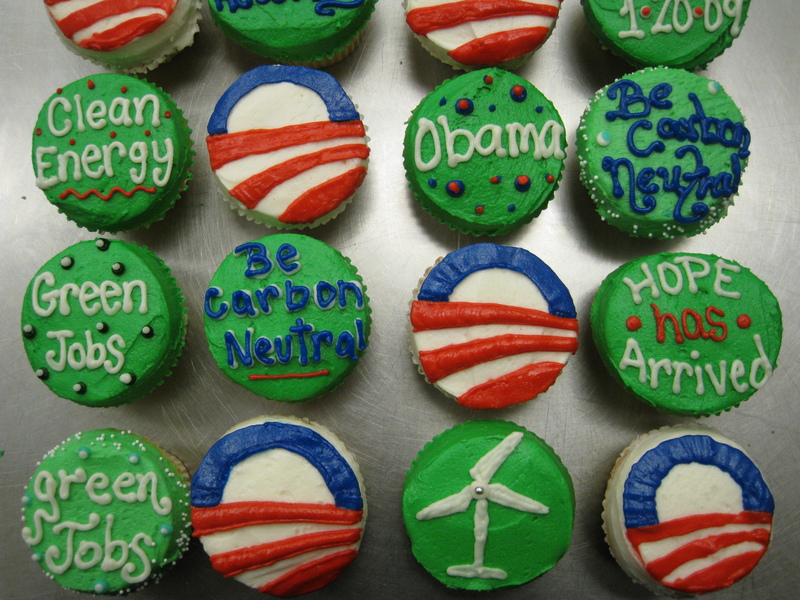 Many people have asked to see an image of the Obama cupcakes I wrote about for Huffington Post. I can’t upload the picture to the original post, so I’m posting it here. These cupcakes were produced by the Little Cupcake Bakeshop in Bay Ridge, Brooklyn to honor Obama’s inauguration. This entry was posted in Desserts, Drinks, Uncategorized and tagged 11209, cupcakes, Huffington Post, inauguration, Obama on January 9, 2009 by Laura Weiss. If you want to celebrate the inauguration in style, check out my story on Huffington Post today about Obama-themed foods, including some options right here in NYC. This entry was posted in Uncategorized and tagged food, Huffington Post, Obama on January 6, 2009 by Laura Weiss.